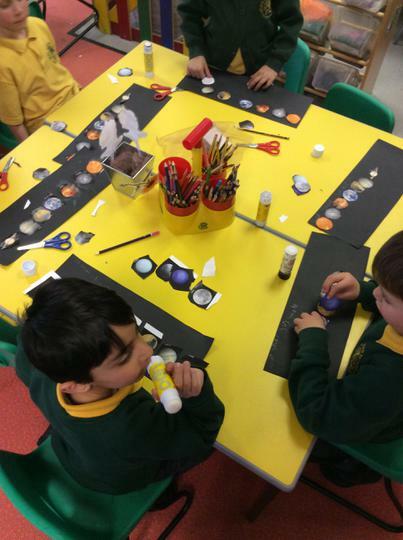 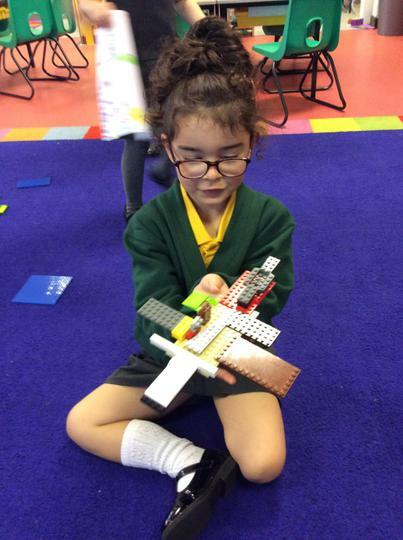 We have been learning about space! 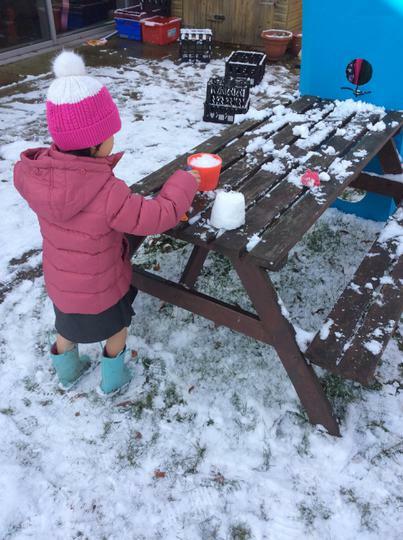 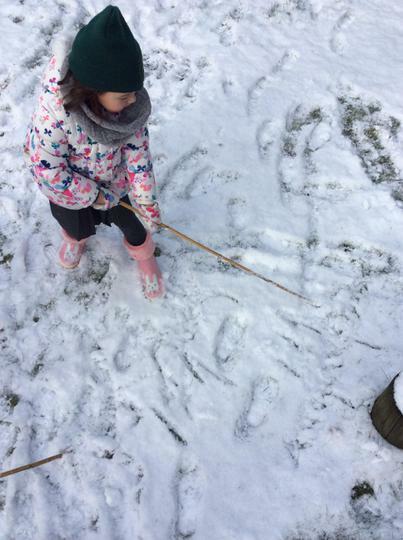 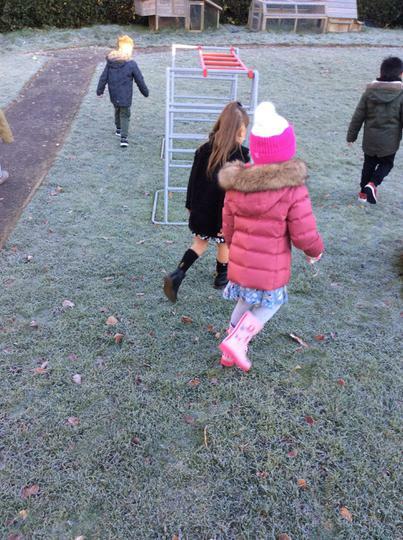 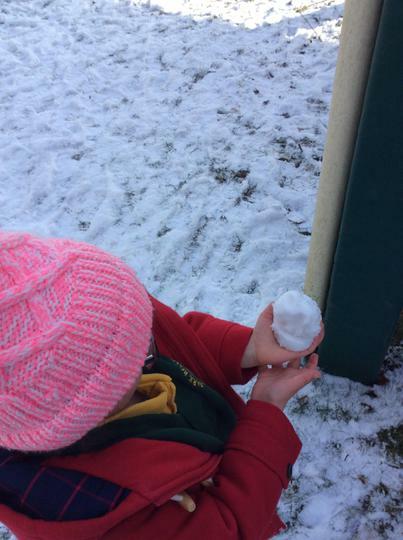 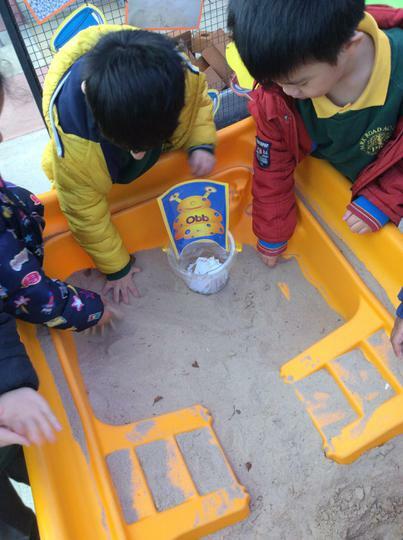 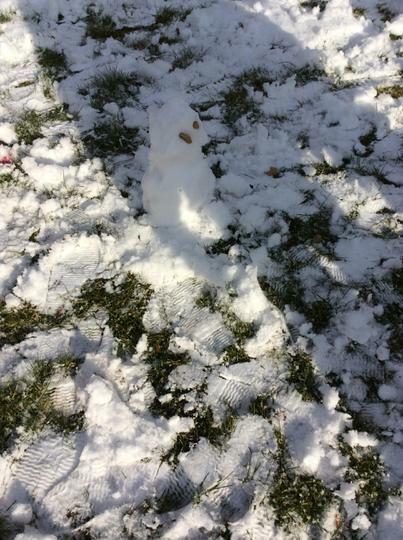 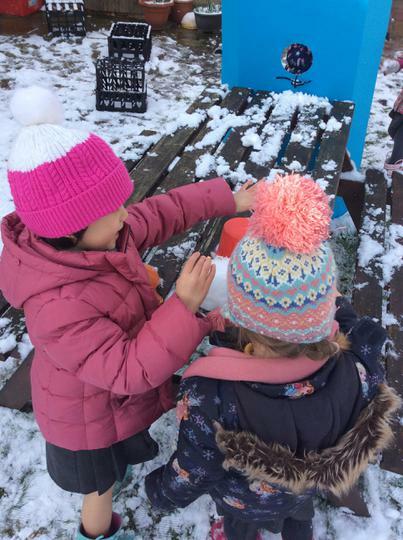 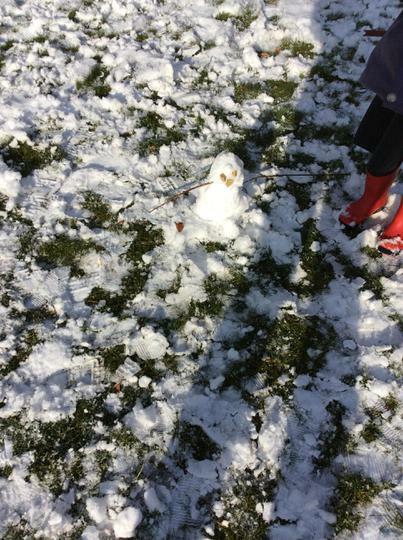 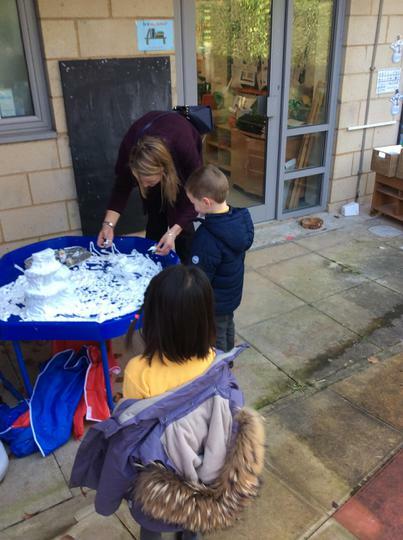 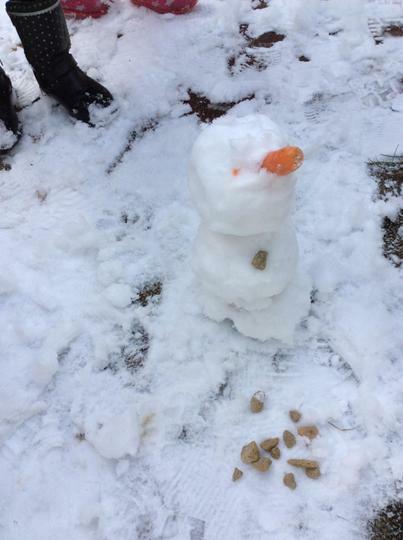 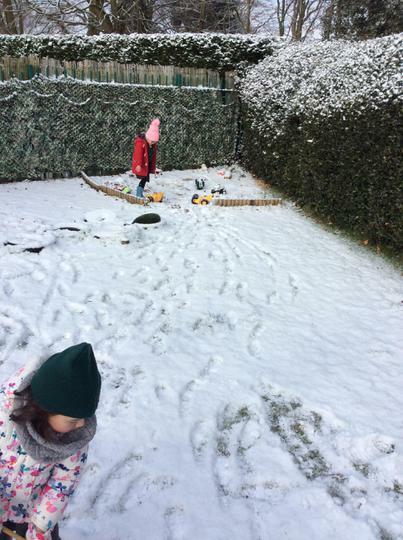 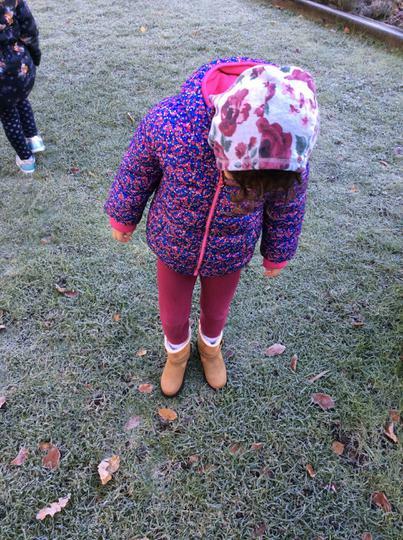 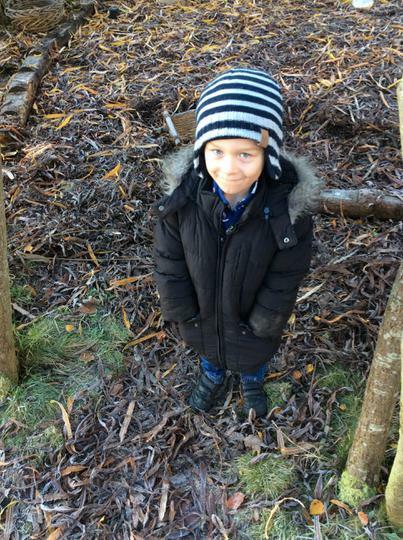 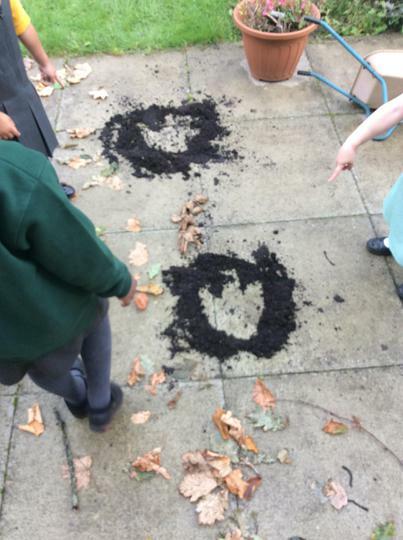 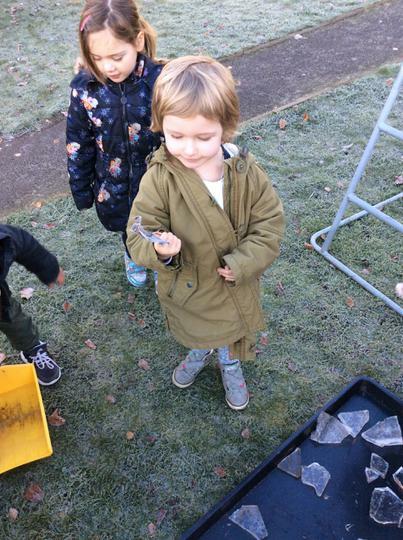 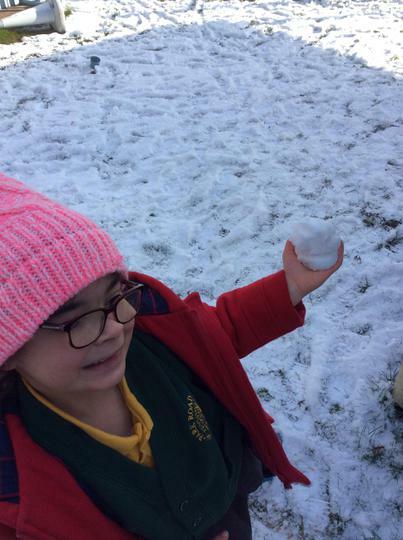 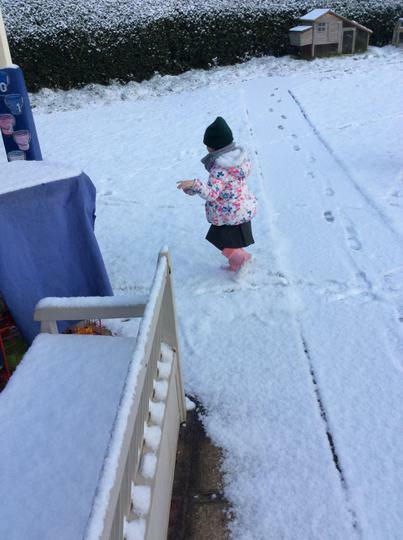 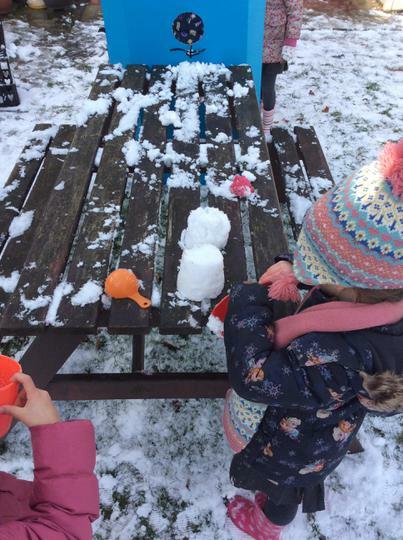 We are learning about winter and how the outdoor environment changes with the weather. 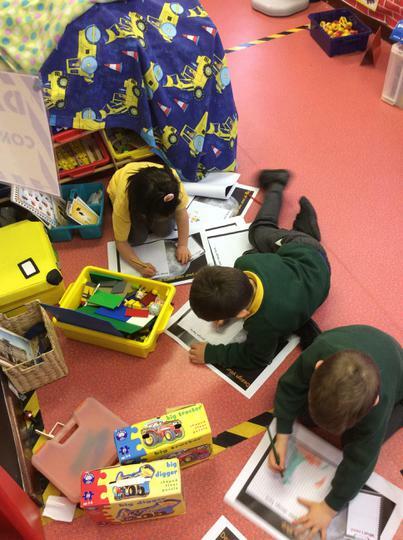 We have researched cold countries and found out lots of new information about arctic animals. 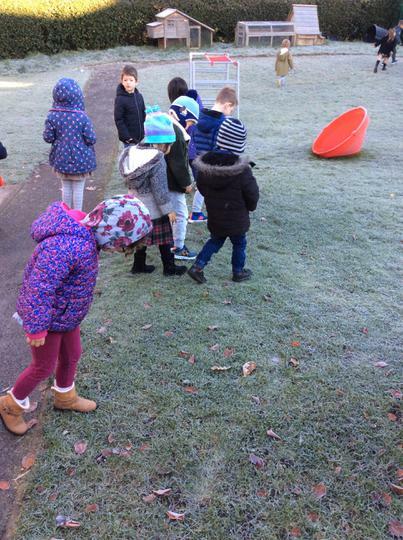 We now understand how the bodies of arctic animals are different and how this helps them adapt to the cold weather. 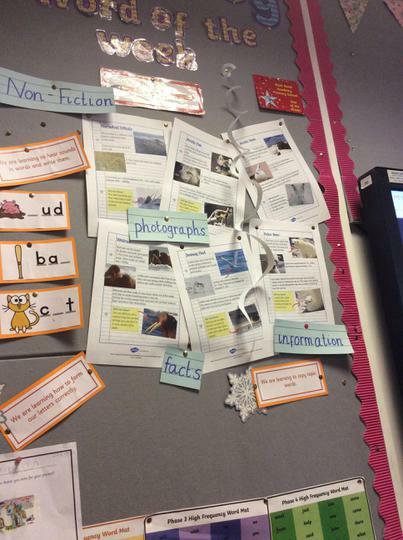 Soon, we will be creating our own Arctic Animal Videos, so watch this space! 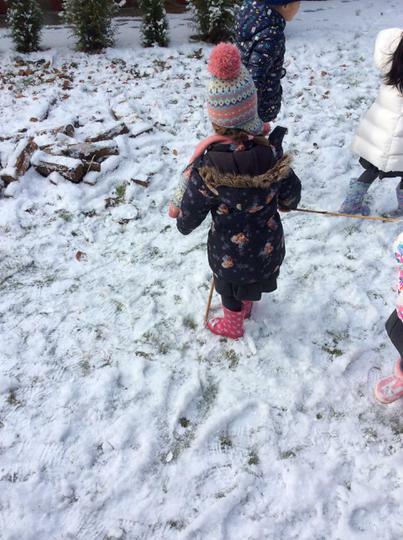 We have listened to wintry music and explore the different ways we can move our bodies to the music, we have found this very relaxing and have decided to use this during our ‘mindfulness time’. 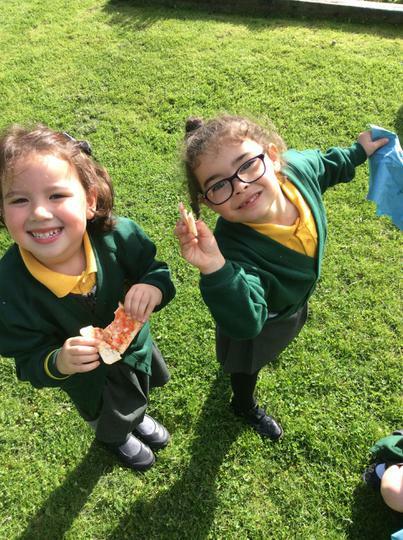 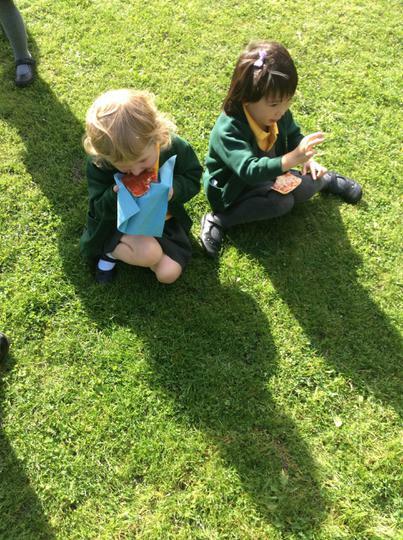 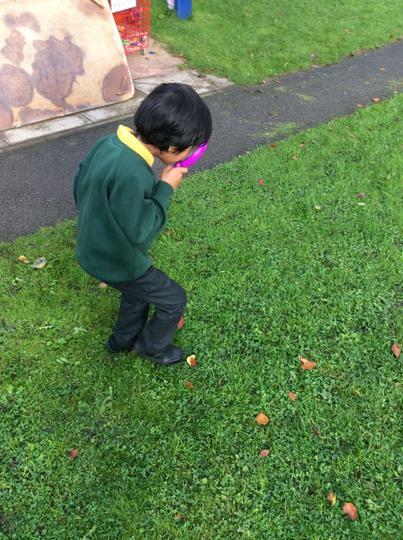 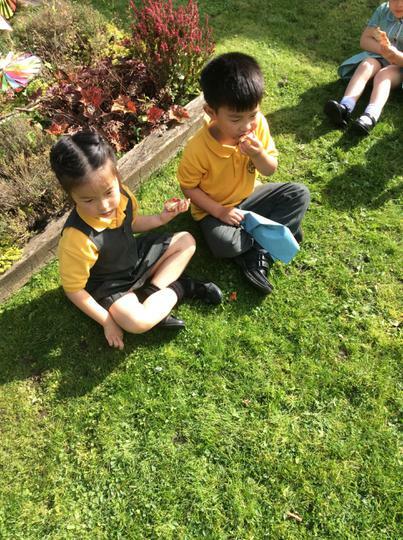 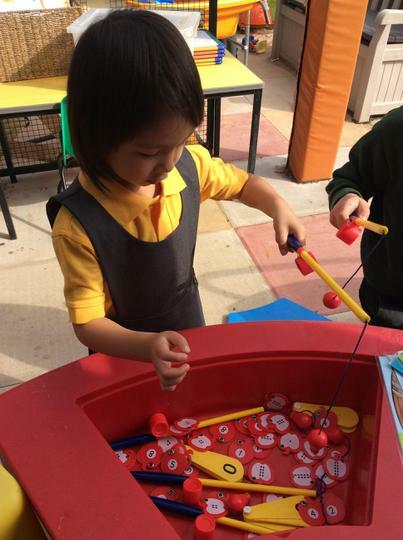 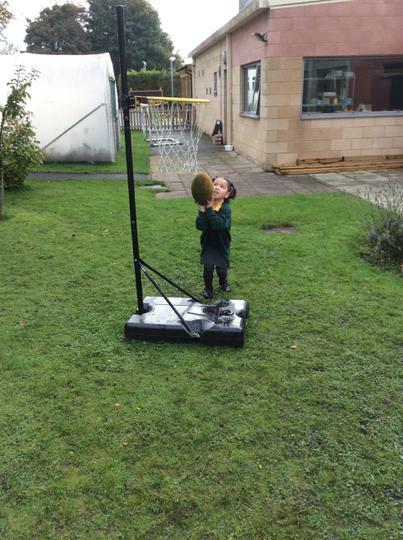 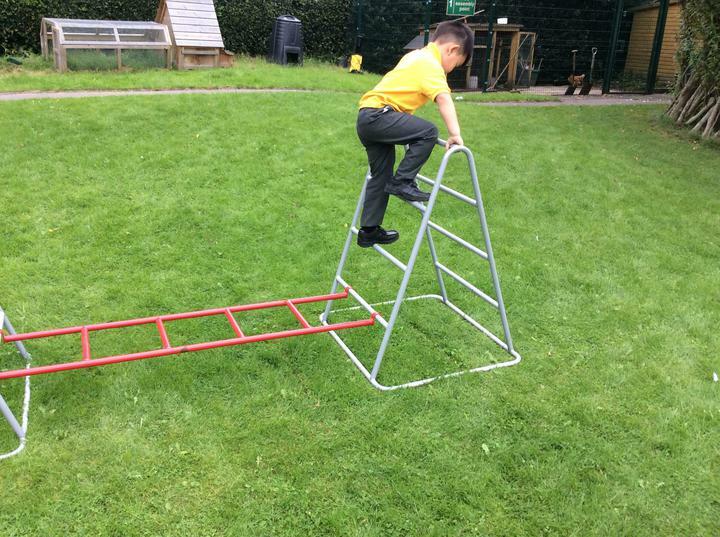 In P.E we have been playing games outside. 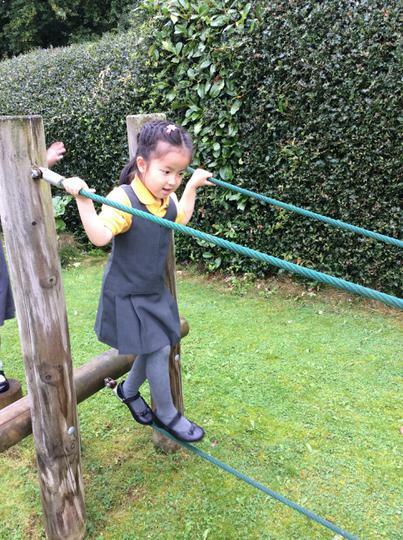 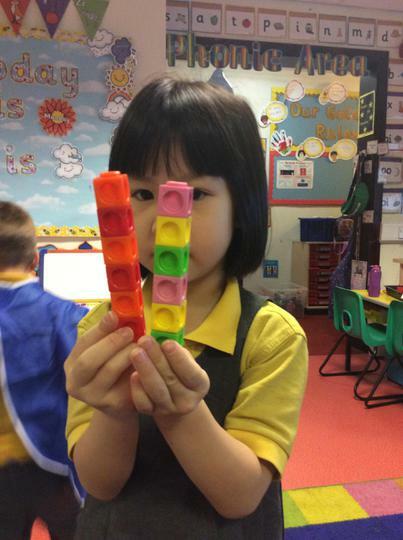 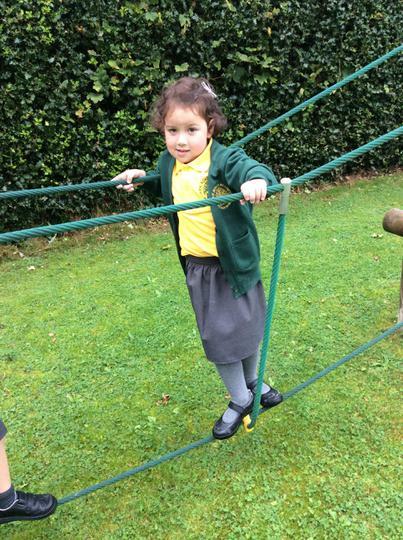 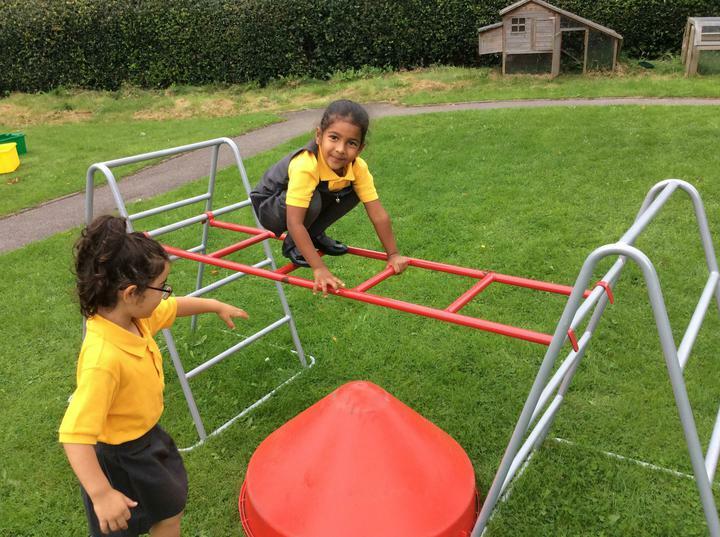 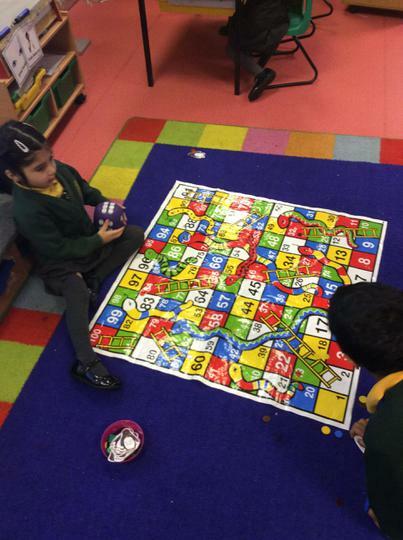 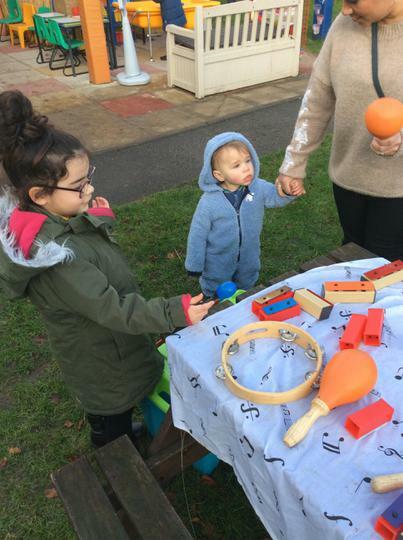 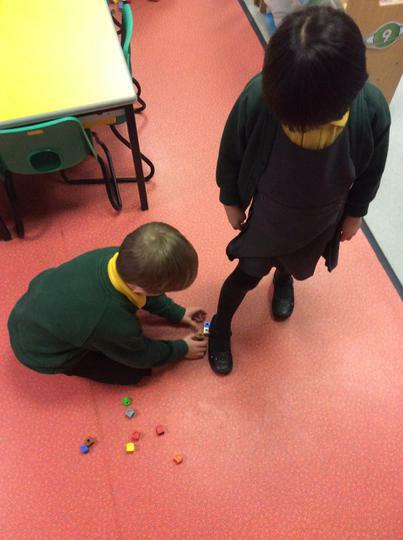 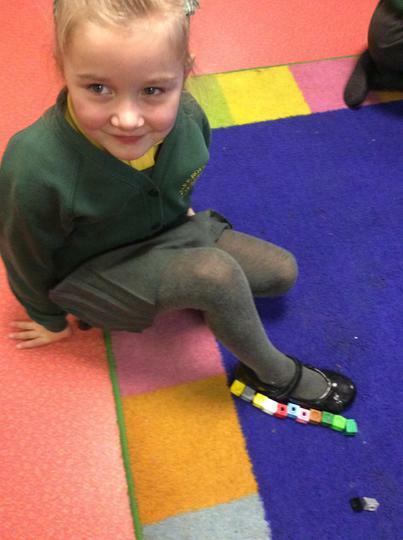 We have been playing obstacle and team games and this has helped us with our gross motor skills and our listening. 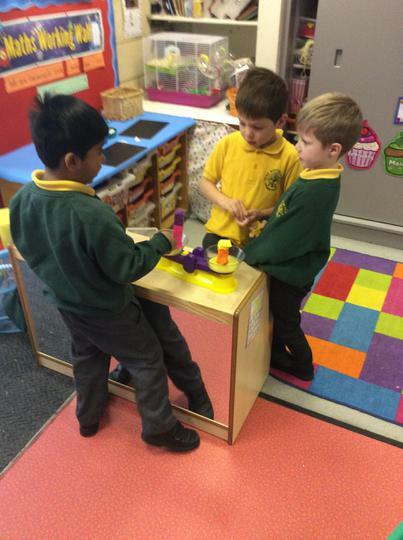 We really enjoyed our Learning Together Morning, thank you to all who attended. 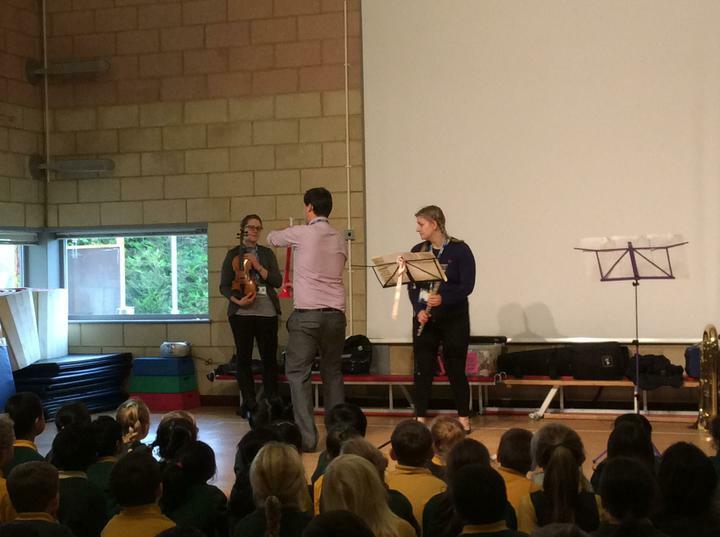 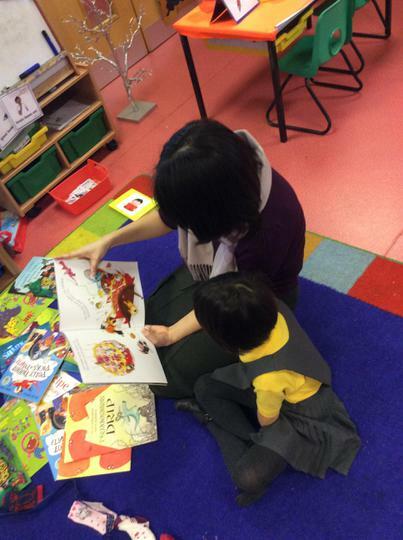 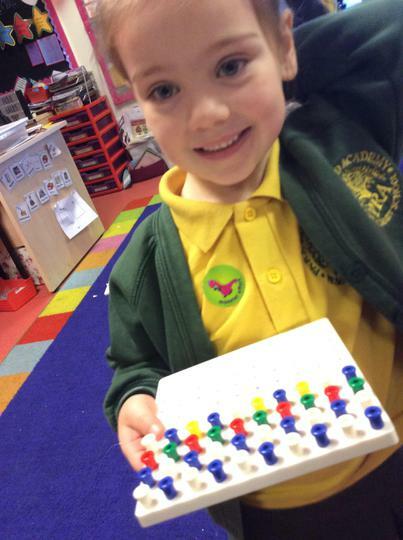 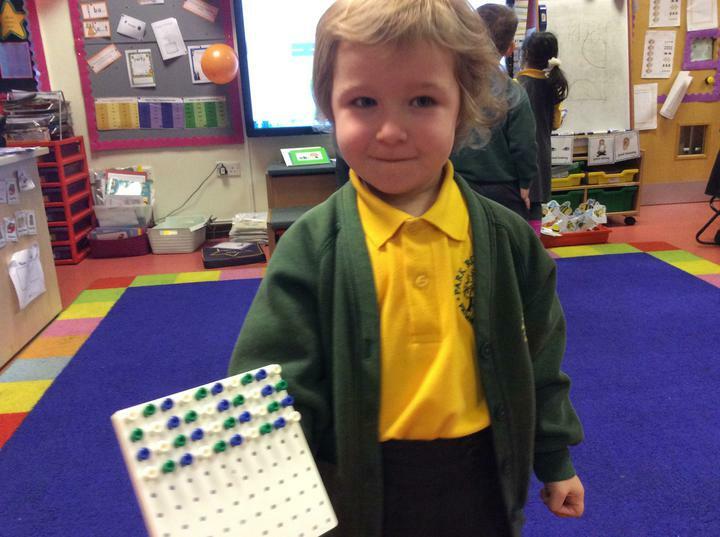 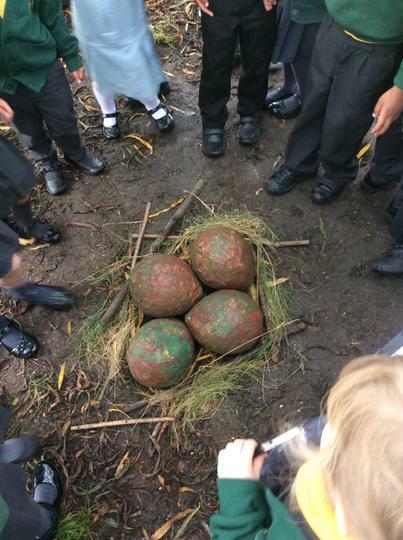 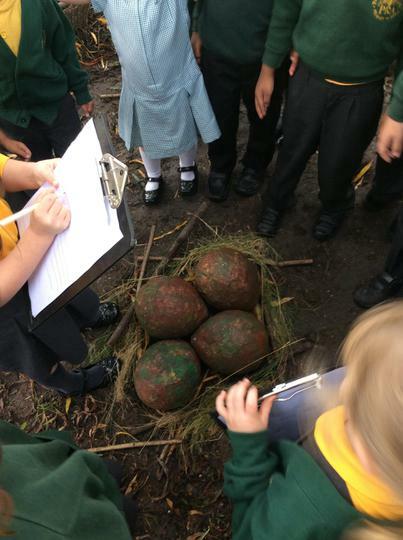 We loved sharing our learning environment with you and showing off what we have been learning so far this half term. 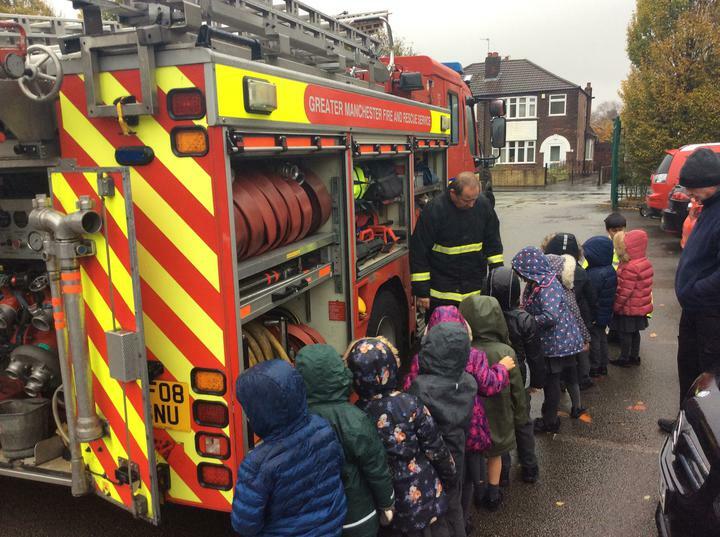 We have had a fire safety talk from Altrincham Fire Service. 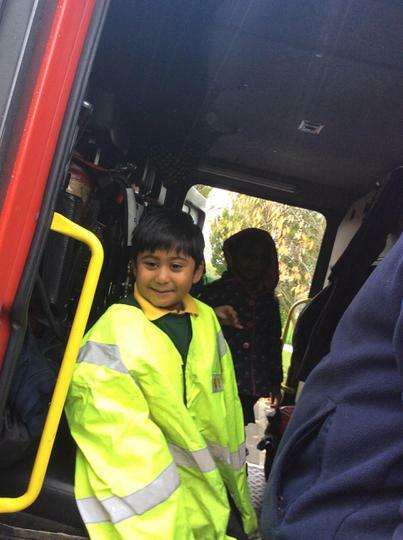 They taught us how to keep safe on bonfire night and showed us all the parts of their fire engine. 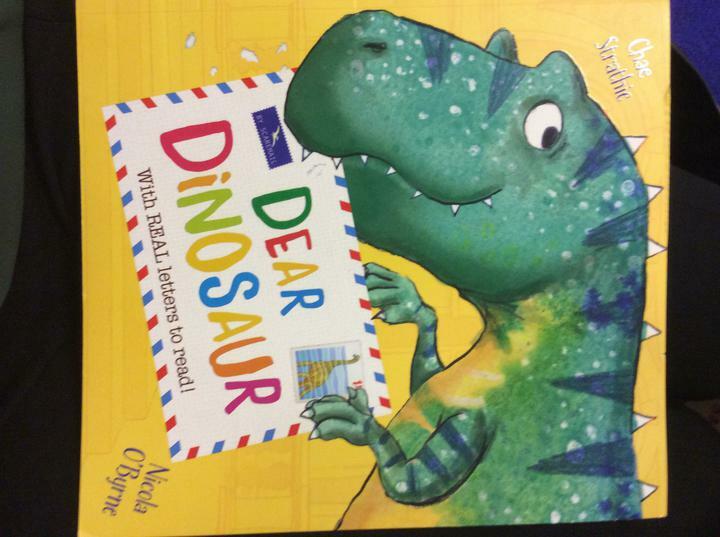 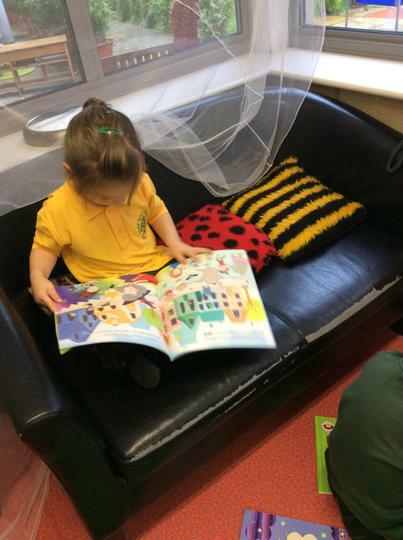 We have had a very busy half term here in Reception, we are well and truly settled in our new class and we all look forward to the year ahead. 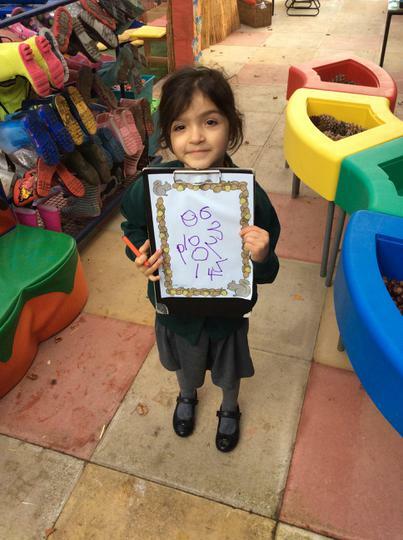 This half term we have been exploring the topic ‘Marvellous Me!’. 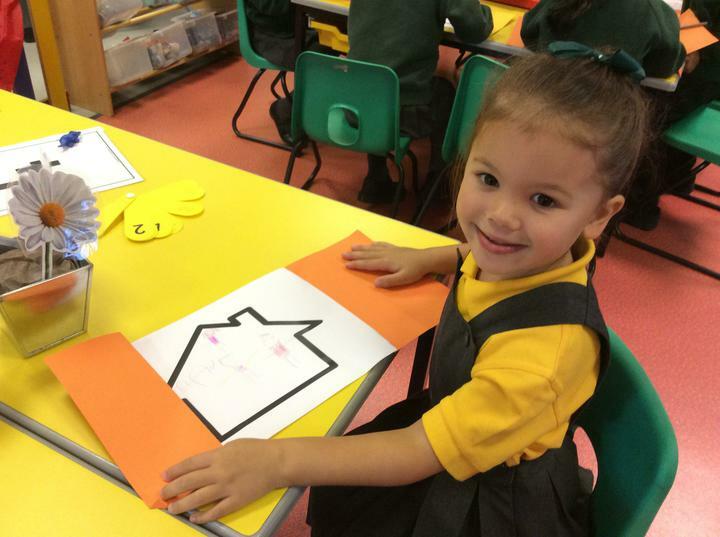 We told each other all about our families and drew pictures of the people who live in our houses. 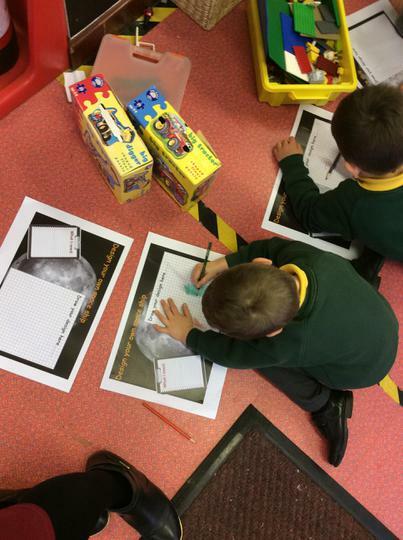 We have learnt all about our bodies, the purpose of our body parts, the jobs our organs do and we have even looked at our skeleton. 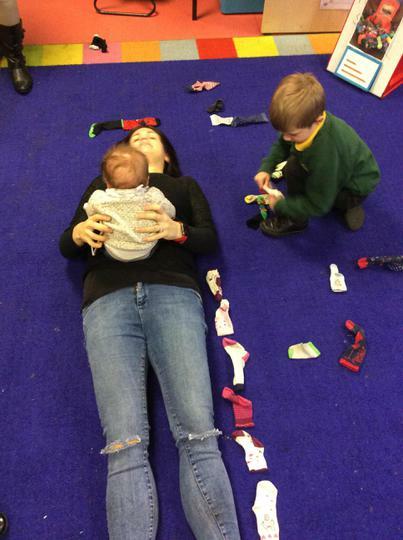 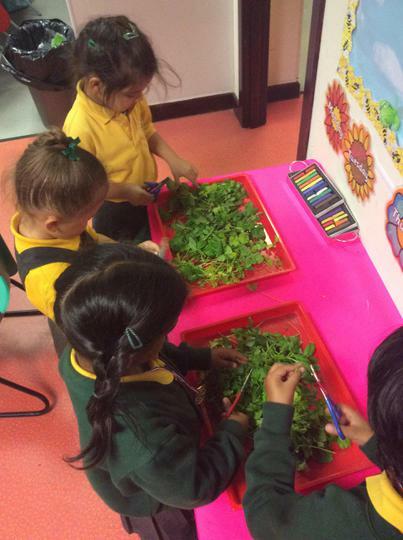 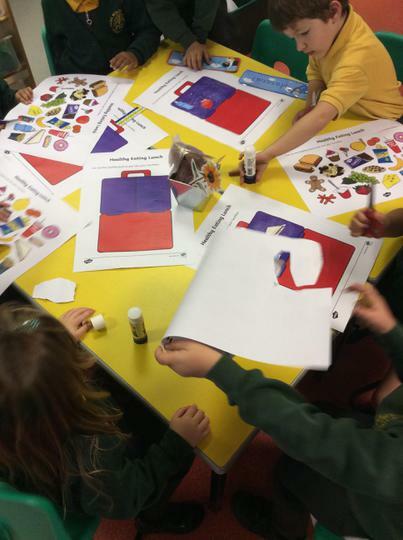 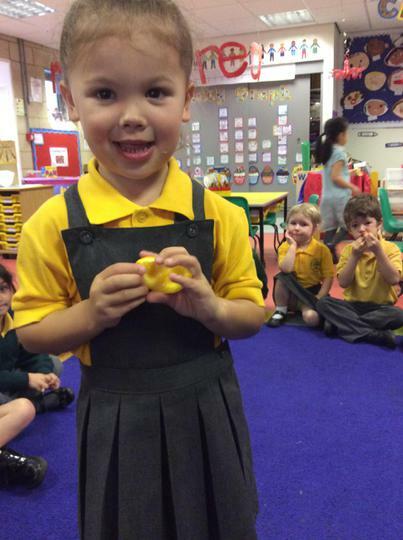 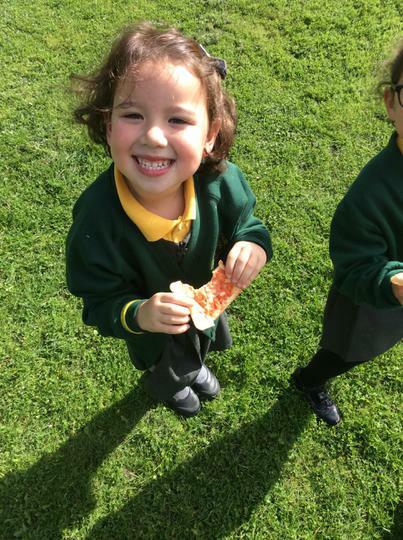 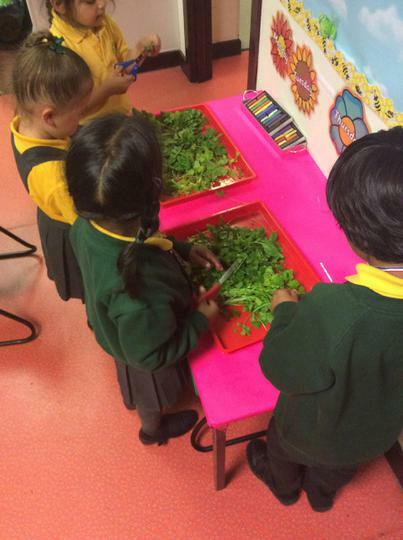 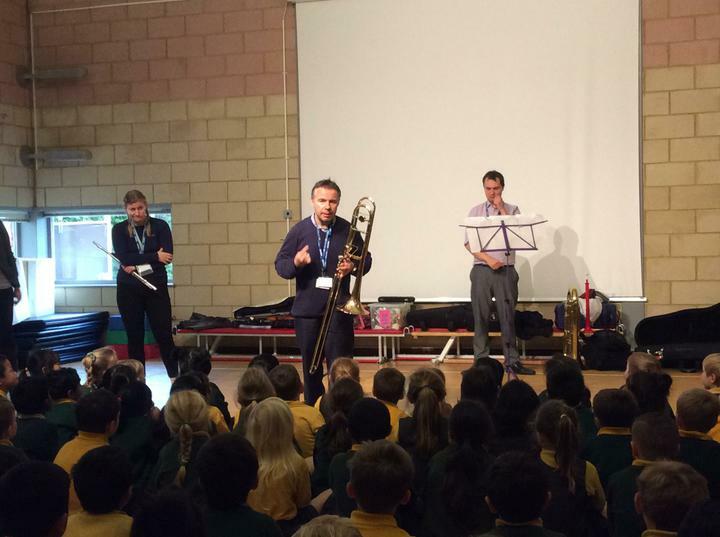 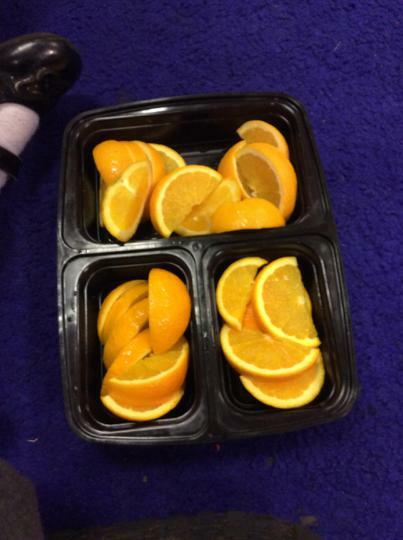 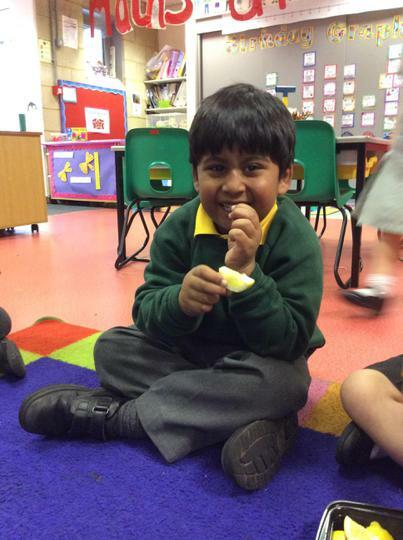 We found out how we can look after our bodies and what we need to do to keep healthy. 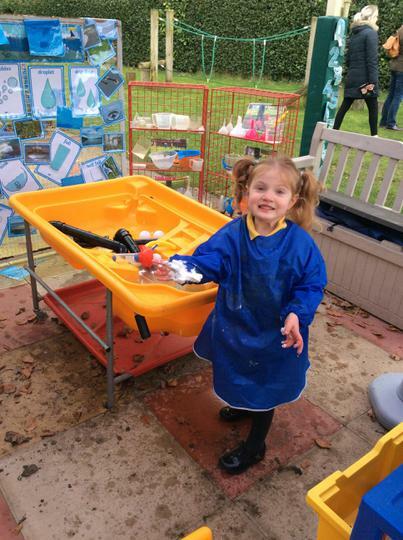 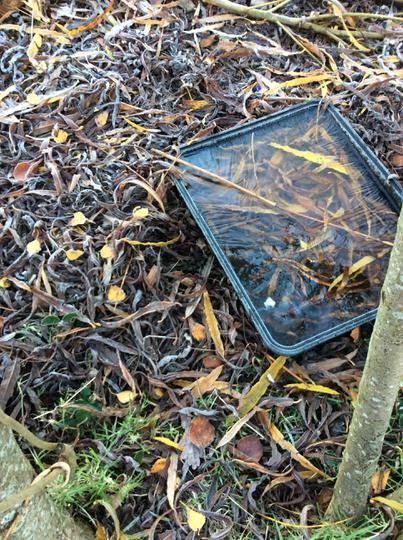 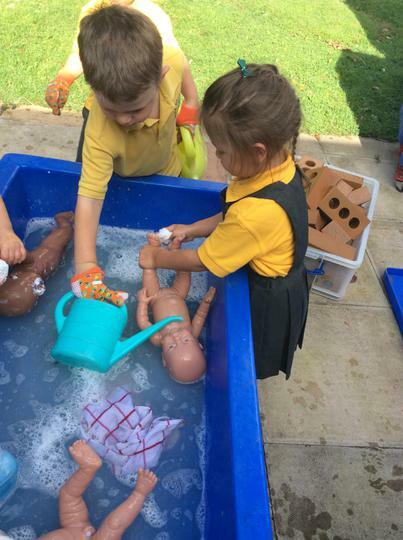 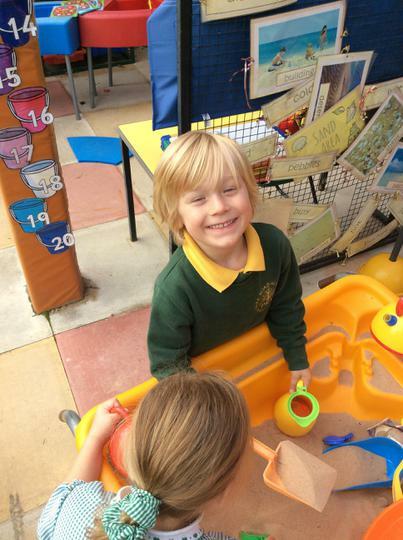 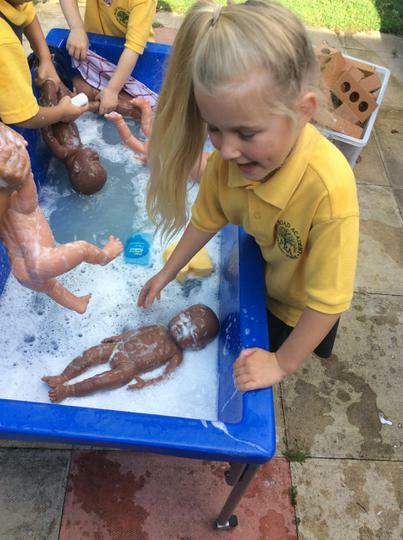 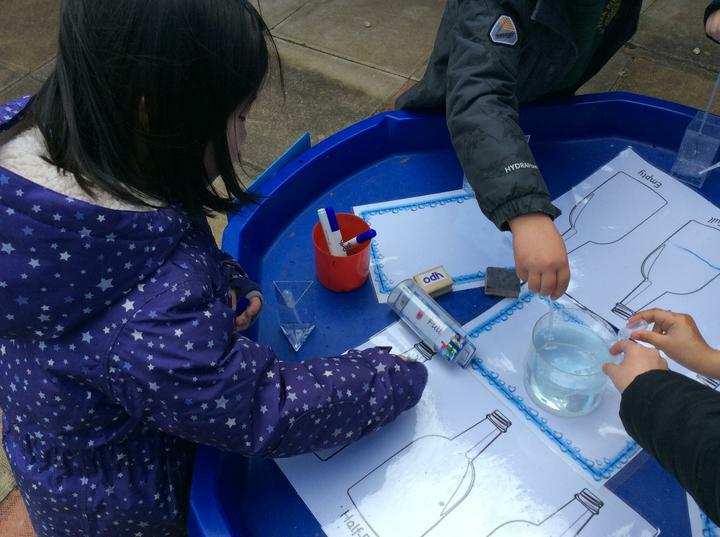 We asked if we could have our own baby washing station and turned our outdoor water area into our very own baby bath! 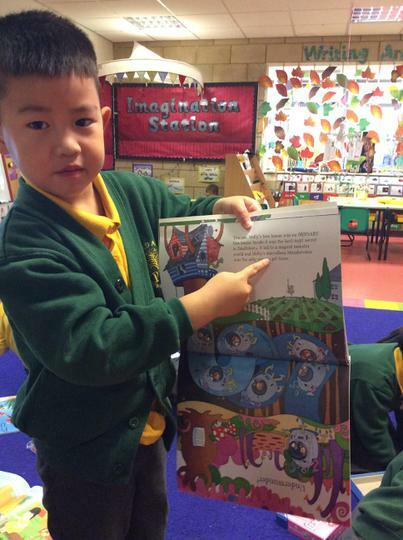 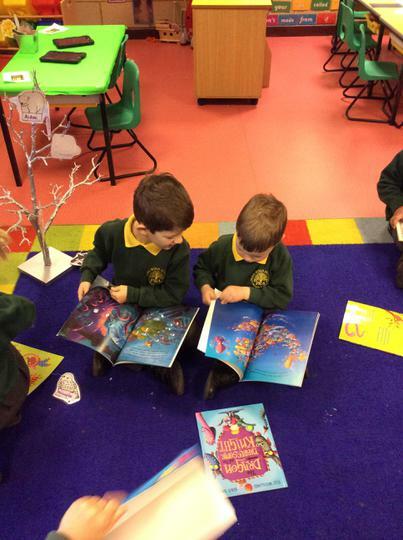 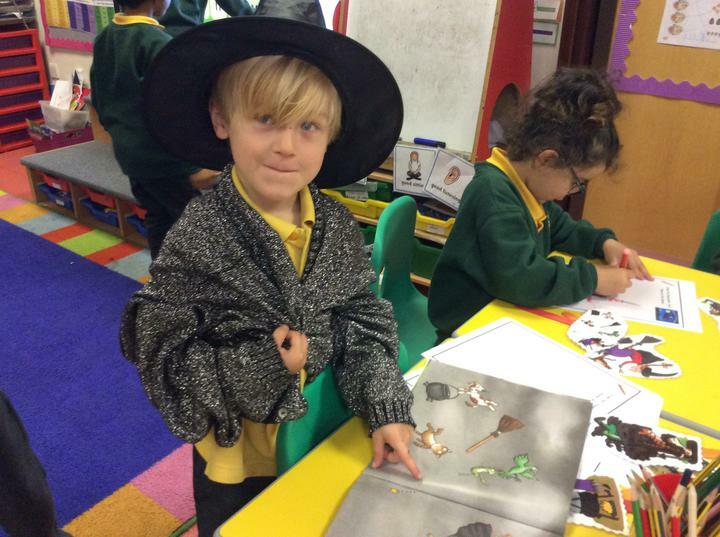 This week our class text is ‘Room on the Broom’. 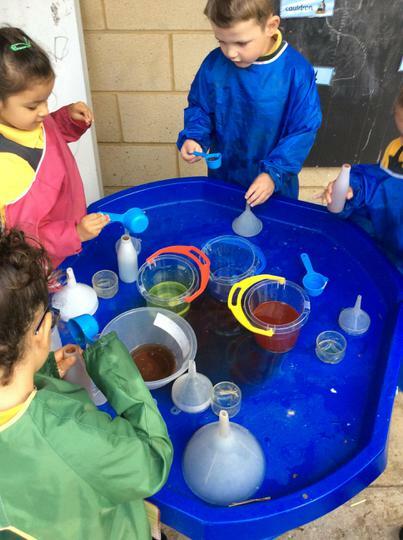 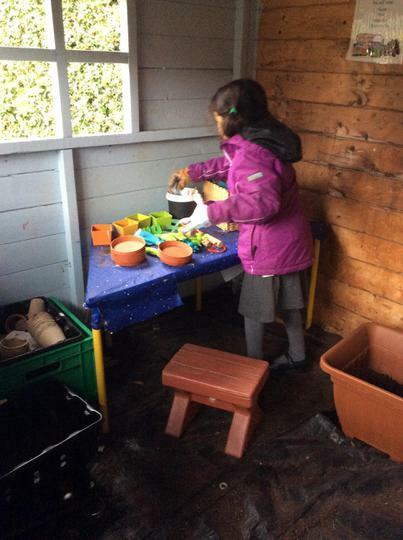 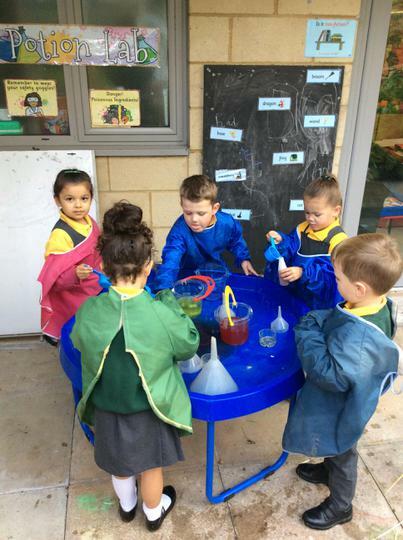 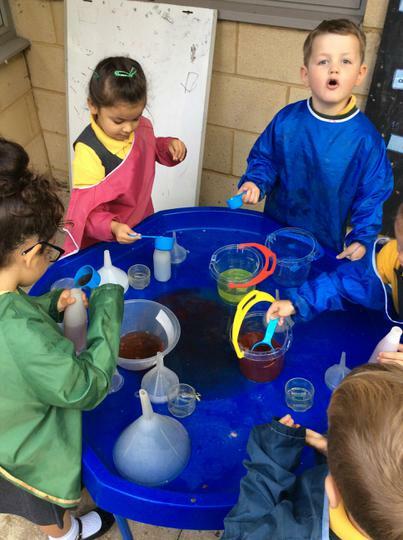 We have really enjoyed acting out the story and we have even made our own potion making station. 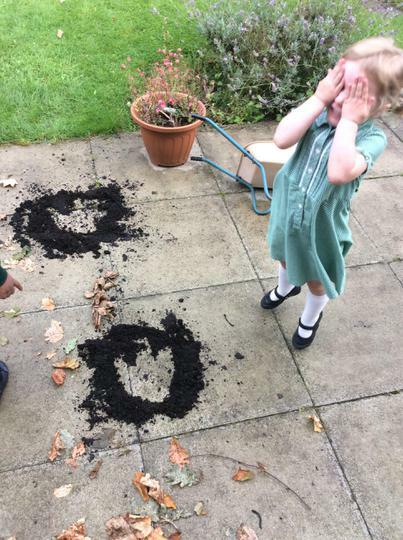 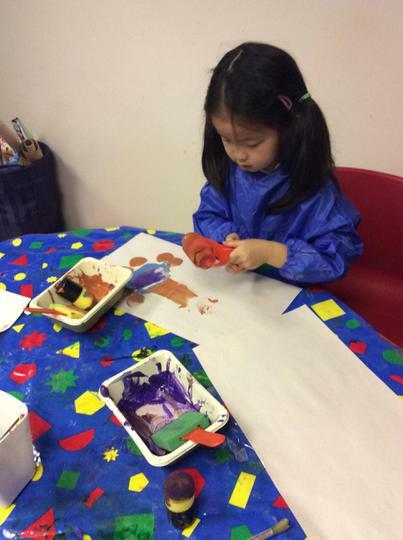 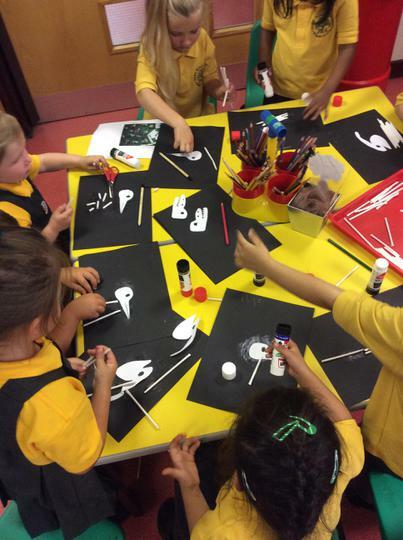 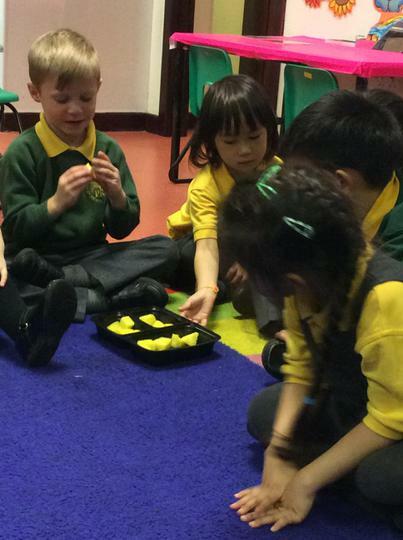 We then began learning about our senses. 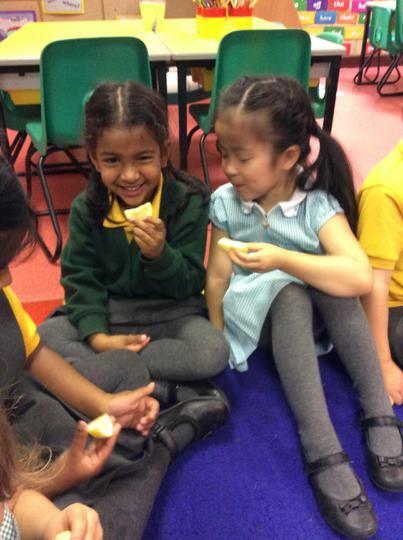 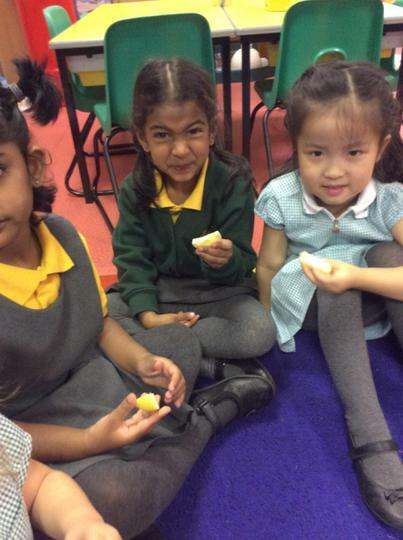 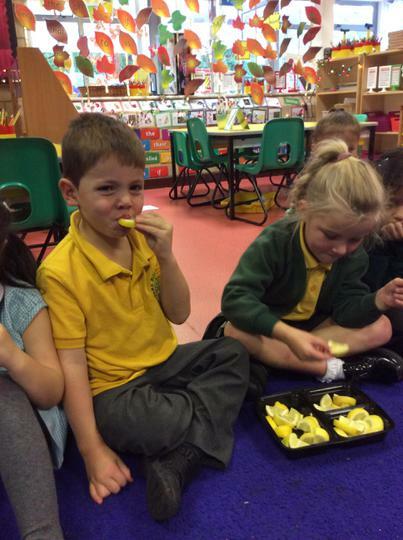 We enjoyed a tasting session, where we tried sour lemons, sweet and salty popcorn and tasted a variety of fruit. 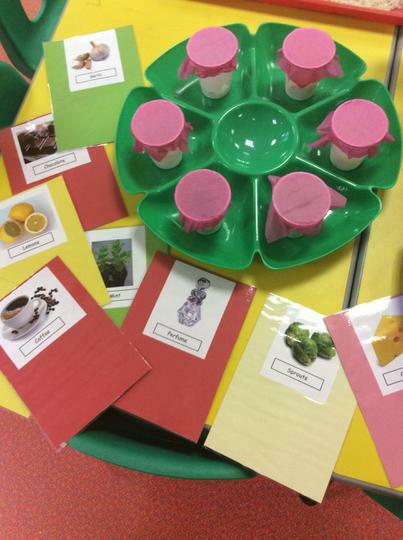 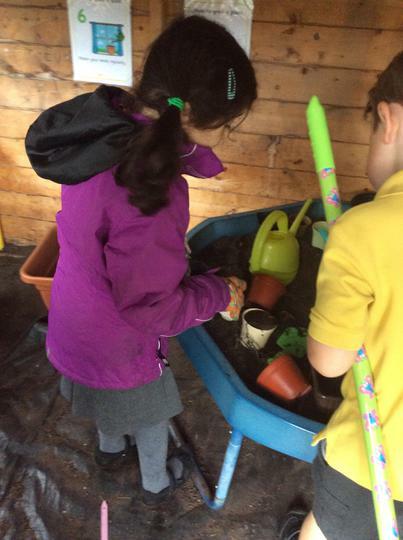 We explored our sense of smell by matching the smelly pots with the correct picture. 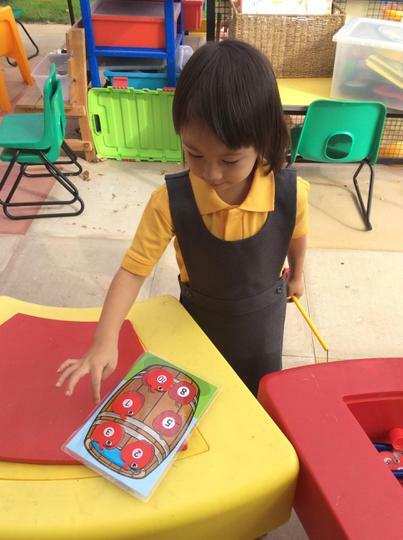 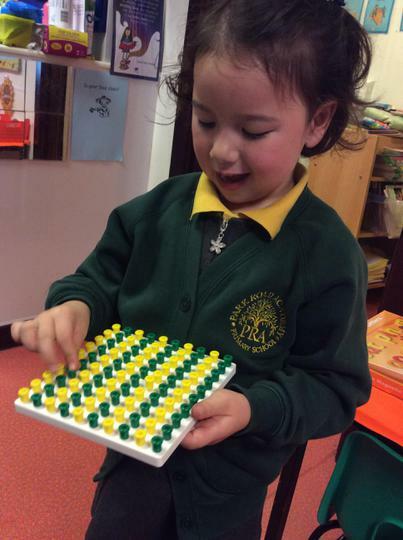 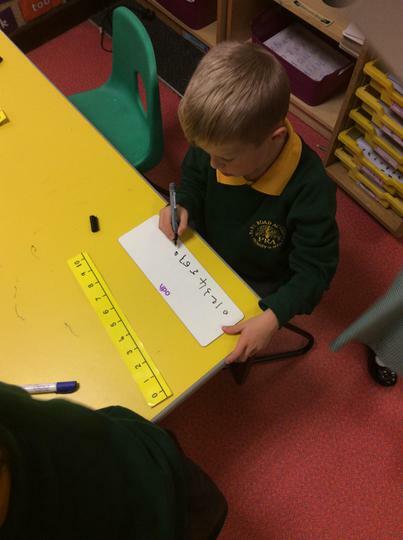 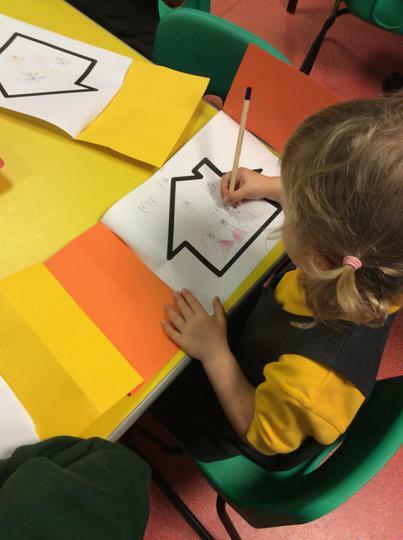 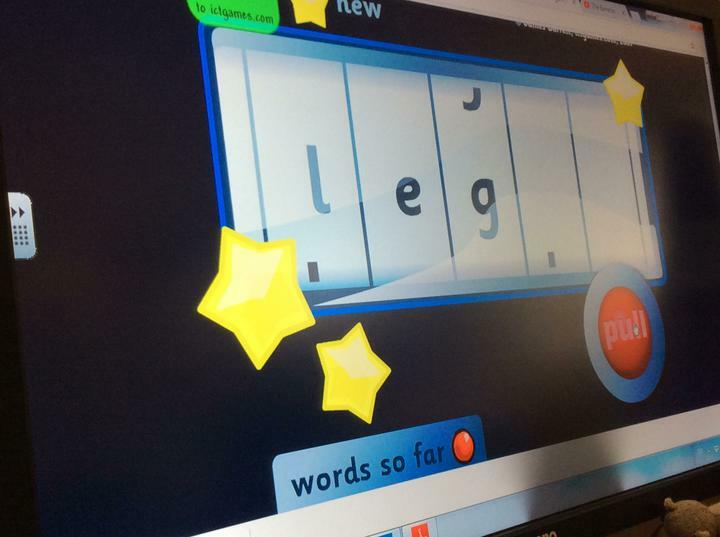 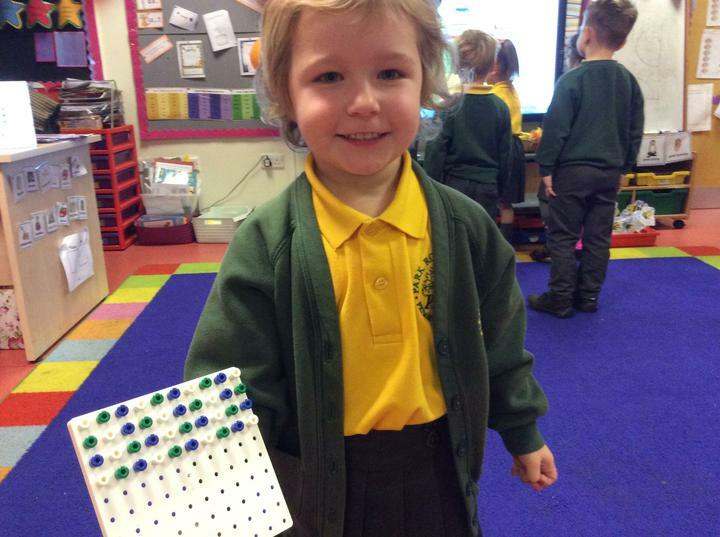 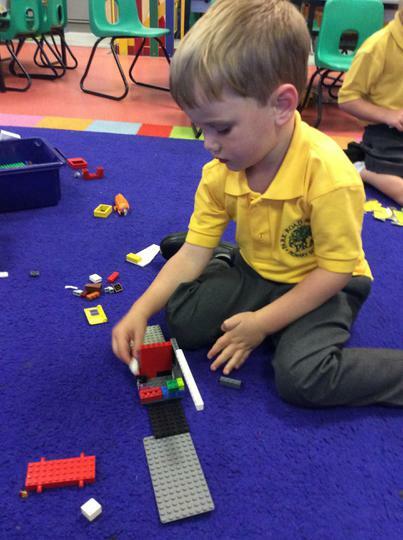 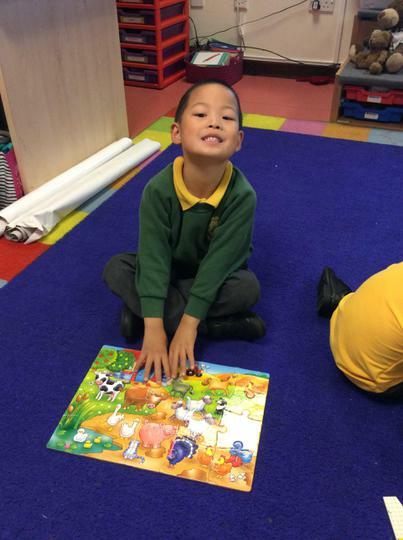 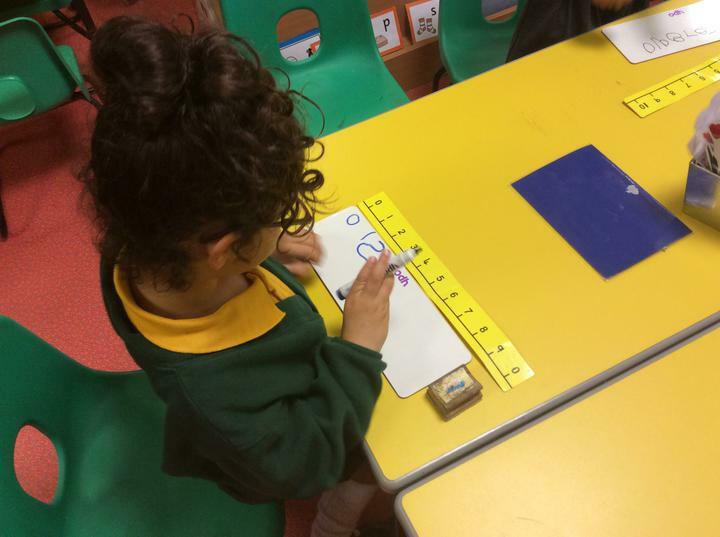 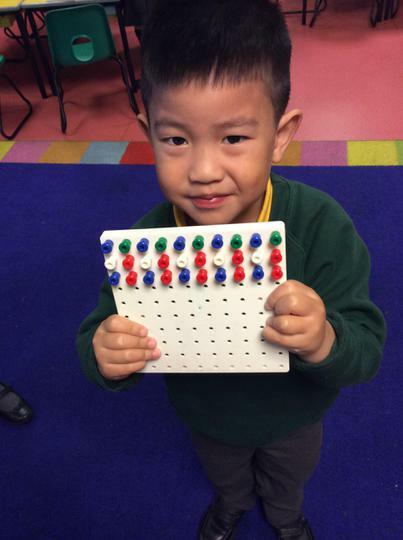 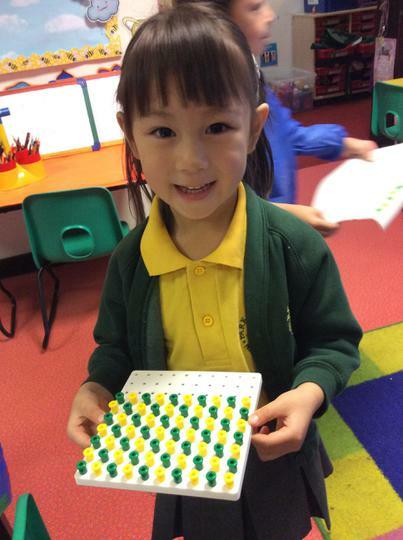 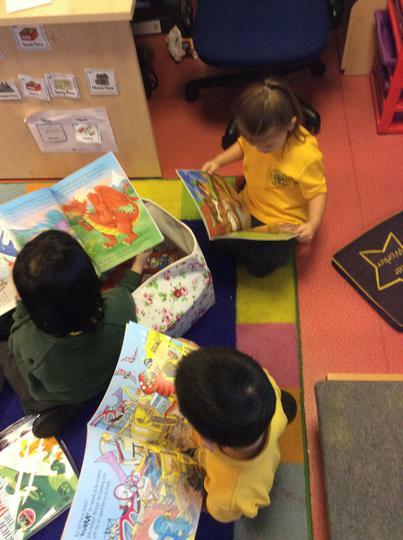 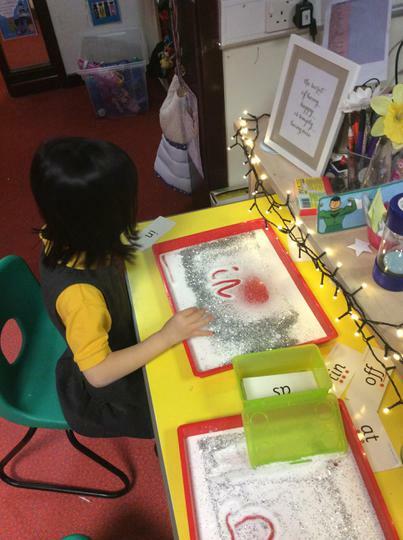 Reception have settled into their new classroom really well and are already exploring all of the different available resources. 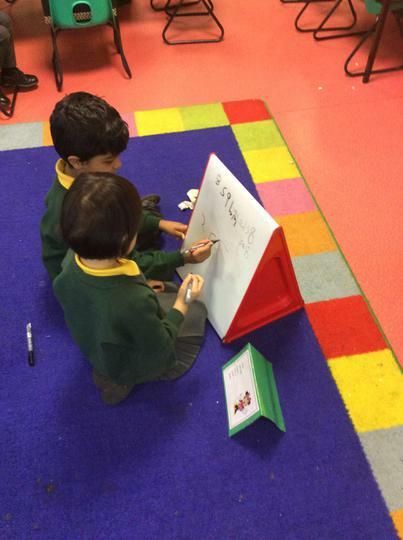 Together we have created our class rules and we are demonstrating how good we are at following these. 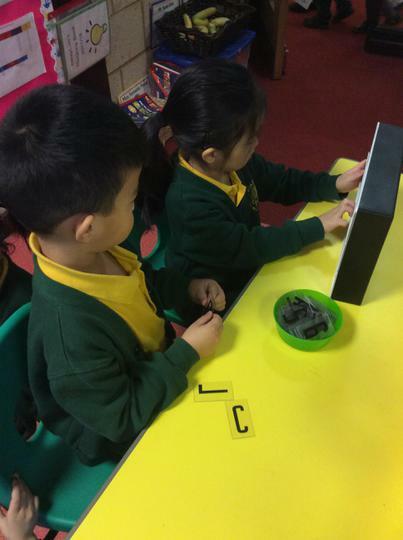 We are becoming more familiar with the daily routines each and every day and we are now remembering where to put our belongings to keep our classroom tidy. 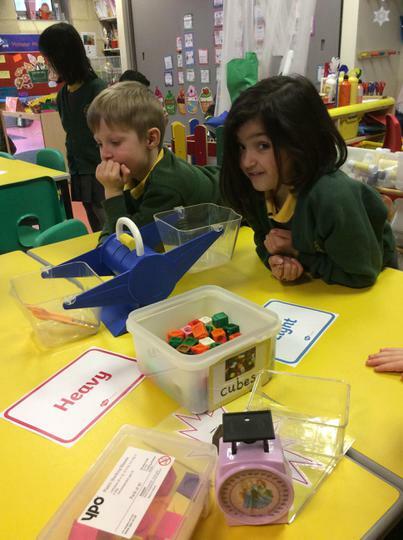 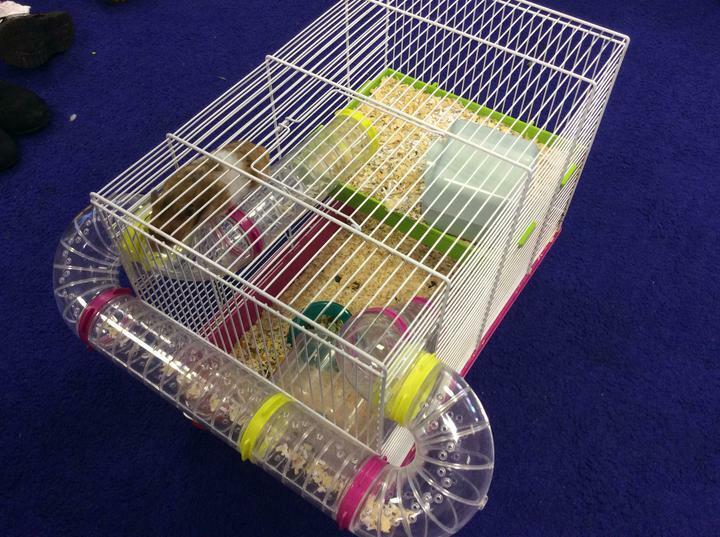 We have played lots games to help remember everybody’s names and we are now very settled with all of our new friends, including Hammy the class hamster!